28 de Febrero del 2018 2:20 pm. Today more than ever, I am grateful. I am grateful for the ability to see and talk to our fans regardless of my physical location. I am grateful for their support regardless of what moment the team is living. I am grateful that we have technology which grants us the means to interact with our fans in ways that bring us closer. 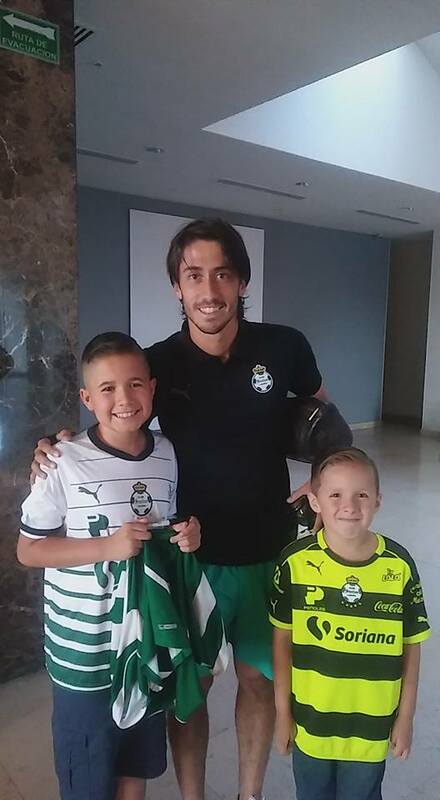 This week, in the second edition of Somos Santos TV for the 2018 Clausura, I was able to reconnect with a young Guerrero who exemplifies every sense of the word. 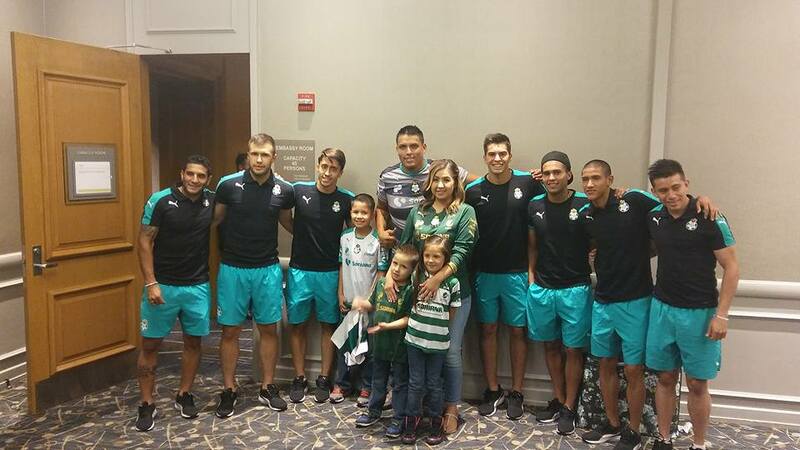 I first met Ethan Hernandez in Dallas, Texas some years ago during a friendly match against Leon. I signed his jersey at the stadium and went about my business. I had no idea about the battle he was fighting. Ethan was diagnosed with Leukemia when he was two years old and spent a majority of his young life in and out of hospitals. I'm told it was while he was in the hospital undergoing chemotherapy that he became a fan of the team. It wasn’t until 2016 when we traveled to Ciudad Juarez for Copa MX that I learned of his story. 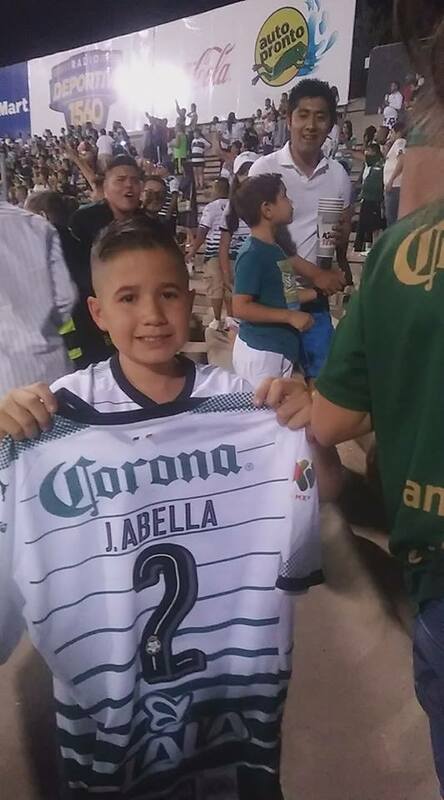 Ethan and his family live in El Paso and took part in a contest we were having with New Era, where a representitive from our team told me that there was a young fan of mine and the club’s who had recently suffered a long battle with leukemia. He was one of the winners of the contest who would be able to come to the hotel to see us off to the stadium, and later watch the game with courtesy tickets. I remembered Ethan. I remembered his young face. When I saw him at the hotel, I recognized that he had the same smile as that day in Dallas when I went over to sign his jersey. But I didn’t know that he had been fighting a disease and I didn’t know that the brief moment I spent with him would result in him becoming a fan of mine, personally. I guess it’s those little things we take for granted that usually have the biggest impact. I took a picture with him and was able to chat but only for a few seconds. Unfortunately, I was unable to see them again that day of the game because the team had to leave for the airport immediately after the game, but I wanted him to have my jersey. The club arranged for me to send it to him in the mail. I wanted to give my thanks for his support and remind him to never stop fighting in life. I wrote "Con mucho cariño a mi amigo Ethan, sigue luchando con esta fortaleza. Un Guerrero nunca muere." A few weeks went by before I received a message on my phone after training. Someone from the club had sent me a video of Ethan receiving my jersey in the mail as he came home from school. I guess he didn’t know it was coming, but they tell me it arrived on the day of his six year anniversary of being declared cancer free. A few weeks later, I saw Ethan again. He drove 10 hours with his parents, younger brother and younger sister from El Paso to Houston to see one of our friendly games. Some of the players on the team learned of the story, and wanted to say hello to him before hand and get to know him a little better. We wanted to tell him that we appreciate his example, his fight to get through and recover from cancer and come out victorious. It’s the same message we have as a club: we are warriors. We fight every battle no matter how hard it seems and we achieve big things by never surrendering. His story, like so many others who have yet to be told, parallels our own as a team. That was two years ago. Thanks to our program Somos Santos, I had the opportunity to Skype with Ethan just this week for our fans to get to know his story. For me, it’s more than telling a feel-good story. I was happy to see him again and know he's doing well, but above all, it’s about remembering the impact we have on others’ lives through everything we do. It’s about reinforcing the idea that serving others and working to make their lives better is the real victory. I am thankful to Ethan and his family for allowing me to live such a meaningul time in my career, and I hope that this story can serve as an example for others to conosciously do the same.